Public restrooms are the perfect gathering place for harmful germs and bacteria. When our sanitary toilet seat covers are used, the conditions improve. Users will enjoy lower exposure to unwanted germs, bacteria, viruses and bodily fluids. Our sanitary toilet seats prevent the need for users to touch anything to enjoy hands free bathroom protection. This reduces the risk of germ, bacterial, virus and disease exposure. The Brill Sanitary System will help REDUCE Restroom Maintenance Costs. With paper seat covers multiple covers are usually pulled out at the same time, with some going down the toilet, and others ending up on the floor. 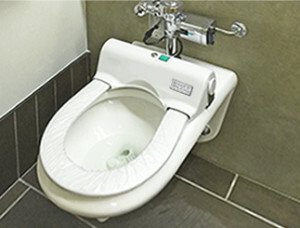 Many times these multiple seat covers will stuff up the toilets, resulting in an overflowing toilet, and a mess on the floor that requires a lot of cleaning and sometimes even a plumber; this results in increased costs and customer complaints. Our automatic toilet seat covers don’t leave messes behind. This means restrooms will stay cleaner for a longer period time. Plus, there won’t be the waste and clogged toilets associated with paper seat covers. Customers and patrons appreciate having access to clean and sanitary restroom facilities. 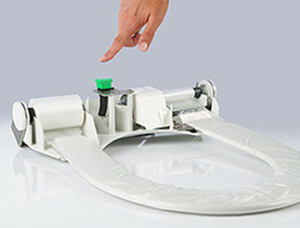 The Brill Sanitary Toilet Seat System lets customers know their health and comfort is a concern. Many of our customers believe that utilizing our seats is a marketing tool, and even gives them a competitive edge over their competition. When it’s time to invest in sanitary toilet seat covers, the Brill name is trusted worldwide. It is our mission to improve sanitation one public restroom at a time. All of our products are Made in America for over 25 years. 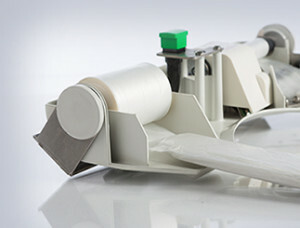 The simplicity, effectiveness and reliability of the Brill sanitary hands free toilet system is fast becoming legendary. Our system, in fact, is making news all over the globe in local and national television broadcasts on news shows and the Jane Pauley show. Additionally, our hands free toilet seats have been received feature pieces in the NY Times, USA Today, the Wall Street Journal as well as many local newspapers and television stations throughout North America. Alan Brill and David Jablow, business partners and best friends, started the business over 30 years. 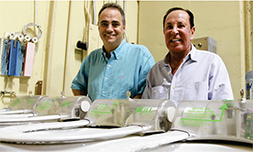 They are both actively involved in the worldwide sales, manufacturing and distribution of their unique sanitary toilet seat products.